Twenty years after the original series left the air, and five years after Hitchcock's death, the famous director achieved a unique distinction; he became the first person in history to return from the dead to host a new TV series. Films of his original Black-and-White introductions were computer "colorized" and used to introduce the new episodes. Some of the color episodes made for the 1985 revival series were entirely new stories, while others were remakes of original scripts. Hitchcock's Black Humor took on an eerie quality coming, as it were, from the grave. It was the sort of Macabre touch the Master would have enjoyed. The series was very well done, with well known actors as well as then newcomers in the varied casts. I honestly think Mr. Hitchcock would been very proud of the work that was done in his name; Then again, the old boy might have just been there after all ! 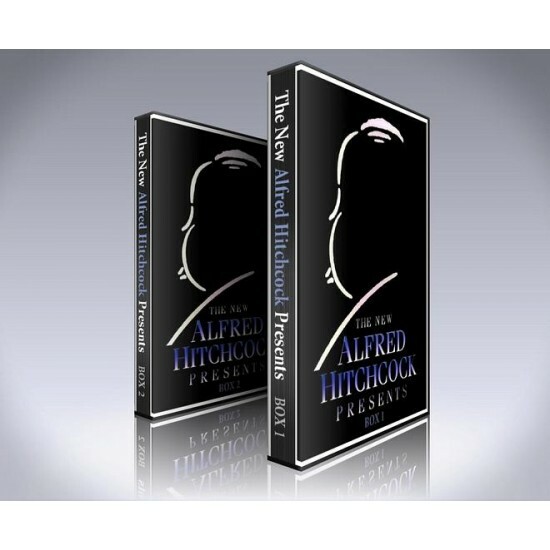 - Complete The New Alfred Hitchcock Presents DVD Box Set containing every episode of the show.